Here is my first tier list! I’ll try to do one every update/balance change. Thanks to Clyde for inspiring this series. His tier lists are always great reads! 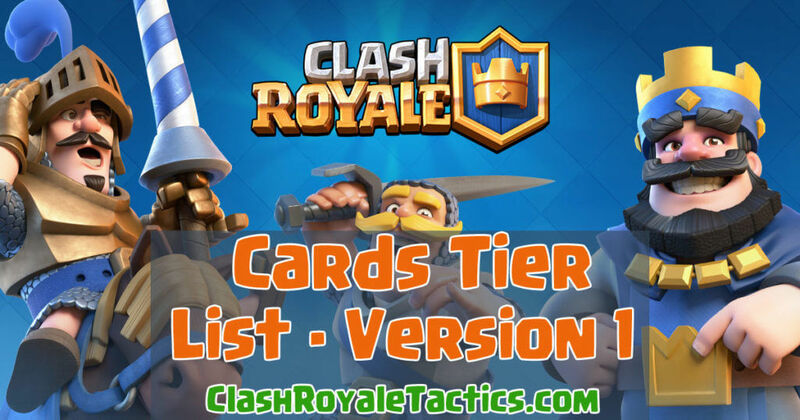 Similar to Clyde, the cards will be separated into six different grades: S, A, B, C, D, F.
I will focus on two cards from each tier, and I will explain what makes them so good (S) or so bad (F). This tier list is for TOURNAMENT play, and not for regular games. Check out Clyde’s tier list on Reddit here and compare it to my list below. Note: All Rankings in this guide are Based on Tournament Level Stats. S Tier: The Best of the Best. At least one should be in your deck. 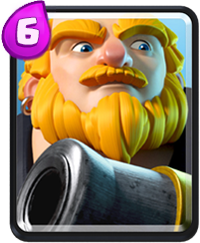 Reasoning: You can’t talk about the best cards in the game without talking about the elite barbarians. They’re everywhere in today’s meta. They can stop tanks in their tracks, catch the opposition off guard, and decimate a tower in seconds, making them the best card in the game by far. Practically uncounterable, the elite barbarians need a serious nerf and soon. Reasoning: Why not include the second most popular card in the meta? The mega minion can do it all. Acting as a slow, aerial glass cannon, the mega minion is benefited by a ground-heavy meta. Watch out for a mega minion, elite barbarian push. It can be lethal. 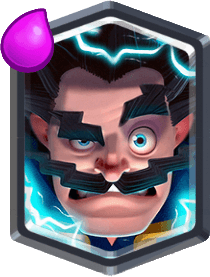 Reasoning: Introduced just a few days ago, the electro wizard still has a lot to prove, but based on the special challenge, it can be said that it is pretty good, to say the least. 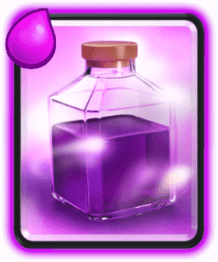 Capable of stunning multiple enemies, it provides good value, only two more elixir than a zap with the added benefit of prolonged damage and a major effect on the battle. 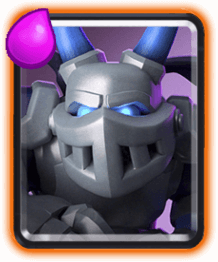 It can stop a hog rider and a mini pekka, and it could be promoted to S Tier if it proves itself in the coming weeks. Reasoning: The bowler is obnoxious to say the least, its knockback effect proving to be annoying every time especially when combined with a giant. The tankiness and damage combine to form a formidable opponent, and the knockback is only an added bonus. While the bowler is not as prominent in the meta as it once was, it is still very underrated and deserves to be used more. 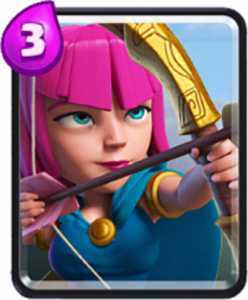 Reasoning: Archers are a relatively new sight, often getting neglected beyond Arena 4, once players start to adopt different decks and become more strategic, but the recent addition of the elite barbarians makes for a great combo. Providing an air defense and ranged unit at such a low cost is very useful in this meta. 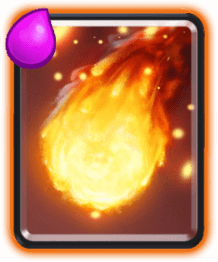 Reasoning: The fireball is the second best spell in the game behind zap, and it’s even more useful in a meta full of glass cannons such as the mega minion and archers. Wait until all the troops are clumped up and then fire for a great elixir trade. Reasoning: Although the royal giant is not as potent as it once was, it is still relatively good. However, as this tier list is based on tournament level stats, the common rarity does not factor into this rating. Its range is a huge factor in its usefulness, and it can outrange several buildings if placed correctly. Reasoning: The giant skeleton is a rare sight, but it can be really good if used in the correct context. It decimates a push, its death bomb dealing massive damage to any troops that can’t escape its radius. Underrated, it deserves to get a second look from players. 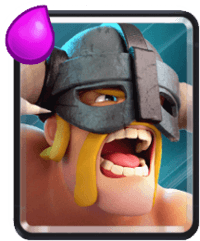 Reasoning: What used to be one of the best cards in the game has turned useless due to the huge nerf it received. No longer reducing the movement or attack speed of the objects it affects, it is a slow killing fireball which is too unreliable to kill off troops. 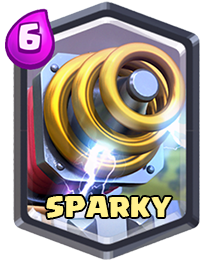 Reasoning: The sparky is the worst legendary card in the game, providing too much risk for some reward. 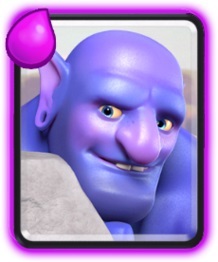 At six elixir and with the emergence of a lot of cards that counter it like zap, guards, goblins, and the new electro wizard, the sparky is too likely to be countered before it can get a shot off. F Tier: The worst of the worst. Please don’t use these cards. 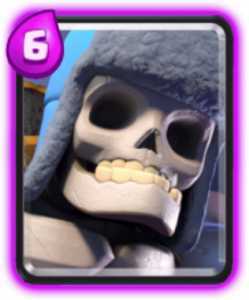 Reasoning: The rage spell has always been one of the worst cards in the game, and Supercell’s various buffs have not helped it unlike the skeleton army. 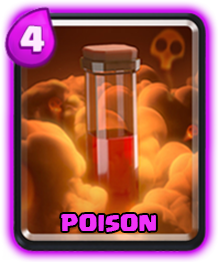 Until Supercell figures out a way to make it viable, the rage spell will not be effective in the higher arenas. Reasoning: The baby dragon has arguably been the worst card in the game for some time now. 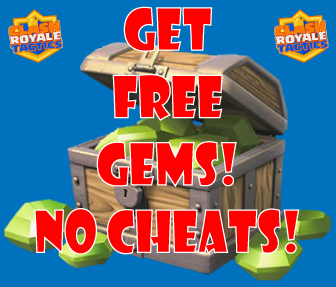 Another failed Supercell buff chain has led me to believe that it will never become good. It is simply too expensive and lackluster in damage and health to be viable in the game. It will be forever banished to the pits of Arena 1-3. This is stupid! I use baby dragon in my deck and I am one of the top players atm. I think I will make a more in depth one of these. And get it right! Everybody has there own opinions but most people use the baby dragon and the rage REALLY well! I like rage, but Lumberjack is an upgraded version. Baby dragon is used to counter skeletons, Goblins, and, um…. low leveled minions? I don’t know. If it was a rare, it might be good, but it has too low damage to be good. Well baby is way better now. This list is so wrong. Tornado is so good.